It's always fantastic when big-name film studios pick up children's books and develop them into full-length motion pictures. This is exactly what's happening to a hilarious, thoughtful and ambitious middle-grade sci-fi novel: The True Meaning of Smekday by Adam Rex (Disney-Hyperion, 2007). So I thought I'd feature it and the movie adaptation, DreamWorks' Home (in North American theatres March 27 2015), in a little spotlight. When I say this book is ambitious, I mean it. It's sci-fi that doesn't take the science parts too seriously (watch this animated short teaser from DreamWorks for a preeeeetty accurate picture of what the alien race Boov look like) but does approach the human aspect to it exceedingly well. The theme of family drives Smekday's plot; our protagonist, Gratuity (her friends call her Tip), sets out on a cross-America trip when her mother is kidnapped by the invading Boov. This makes her prejudiced against the aliens, including renegade Boov mechanic named J.Lo who becomes her sidekick, until her perceptions of what is right and who should win are knocked askew when yet another alien race approach to invade. Structurally, this book is immensely fun. 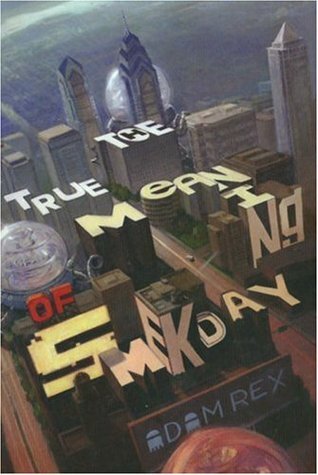 The novel starts out as an essay set by Tip's school to write an essay on the meaning of Smekday, and slowly evolves into a monstrous thing of fun from there. Adam Rex is also an illustrator (he illustrated quite a few famous authors' children's books, like Neil Gaiman's Chu's Day), and his pencil sketches dot the novel as pictures from the perspective of Tip's camera. Little six-page comics from J.Lo's perspective are also a rare treat. You'll notice that this is DreamWorks' first animated film with a black female protagonist — well, you can bet that Rex doesn't shy away from addressing Tip's interracial family and the reception she gets when she tells someone "We're Italian". Then there's the Chief, a Native American who helps upend a few white privileged theories on their posterior as well. Basically, Smekday wins all the awards for racial diversity in a MG novel, which is why it's even more awesome that DreamWorks has made it into a film. Rihanna voices Tip, and the Boov (now named "Oh") is voiced by Jim Parsons. Try not to freak out, now, but Jennifer Lopez is actually voice-acting in this movie. Yep, the author named his rogue Boov after her, and now she's going to be in his film as Tip's mom. Furthermore, Rihanna is recording a full-length concept album that will serve as this movie's sound track, which is all kinds of amazing. Sound good? 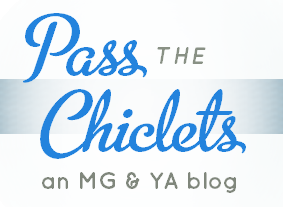 Let me know if you have read or will read the book and/or will watch the film!